AirAsia Red Hot Sale is coming! Be Ready! Here’s the reveal! 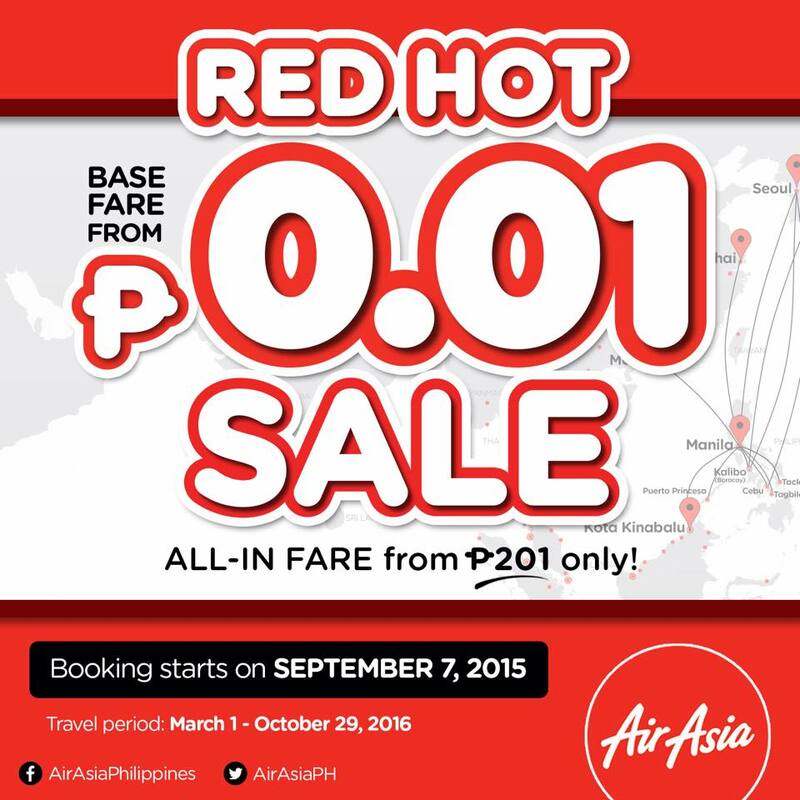 It’s a #REDHotSale P0.01 base fare promo! All-in fares start from P201 only! Red Hot Sale starts on September 7, 2015 at 00:00 GMT +8! BIG Members have 24 hours priority access!